After a year-long legal battle, A New York District Court judge yesterday ruled in favor of YouTube channel H3H3 Productions, who had been accused of copyright infringement, misrepresentation and defamation by another YouTuber whose comedy-slash-pick-up-artist video they parodied. H3H3 Productions’ February, 2016 parody video poked fun at the video “Bold Guy vs Parkour Girl” and garnered over ten million views before a takedown request wiped it off YouTube. 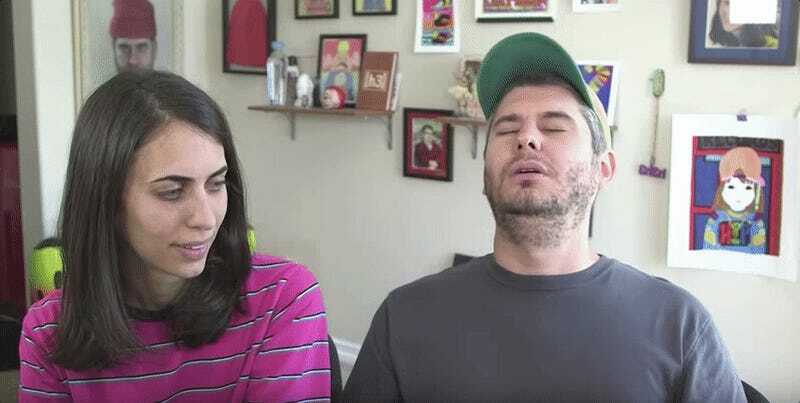 YouTuber Matt Hoss alleged that the Kleins’ critical commentary of his video reproduced too much of the original video, a fact Ethan Klein said masked the fact that “he doesn’t like that we made fun of him and so he’s suing us.” The judge’s final opinion was that there is “no doubt” that YouTubers Ethan and Hila Klein’s reaction video constituted “critical commentary,” which is legal under the Fair Use Act. He added that it was obvious from the start that their reaction video constituted Fair Use: “Dude, this is America. Everyone’s a critic!”. [Update—11:00 a.m.]: A previous headline for this story used language implying that Ethan and Hila Klein filed the lawsuit, which was not what we meant to imply. The headline has been updated. Also, a previous version improperly attributed a quote to a judge when it was in fact an attorney’s statement. We regret the error.